To assist you in the complex endeavor of teaching the Holocaust, we have created Materials Trunks, which include everything you need to teach a unit on the Holocaust for Middle and High School students. Each trunk will be loaned to schools for 3 weeks (or more upon request depending on availability). A contract between the school and the Holocaust Education Resource Center will be signed by the teacher. To reserve a Materials Trunk for your classroom contact us at HERC@MilwaukeeJewish.org. 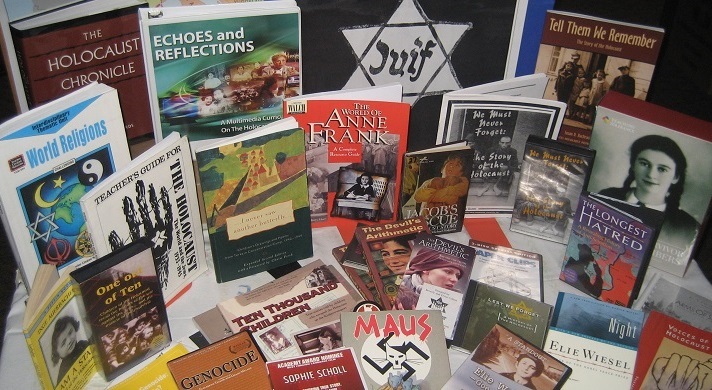 View Middle School Holocaust Materials Trunk inventory. View High School Holocaust Materials Trunk inventory.